Hussain has a born interest in mysteries and healing arts, though in Kuwait his interest has taken him to study and life experiences. Studied in Hypnotherapy, Time Line Therapy, Chi-Gong, Team leader in Transcending Entities, Siam Reiki Teacher, Heart Intelligence, Cosmic energy. Students are required to bring with them a pendulum of any kind for the hypnosis course. Students must know that at the end of the course there will be an exam last day, which is to conduct a hypnosis session for a person they bring who is not participating in the hypnosis course. · Prime directives of the unconscious mind. · Fundamentals of Ericksonian Hypnosis. · Patterns of Indirect suggestions. · When not to hypnotize. 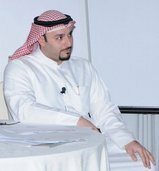 When the student graduates from the course he will be handed a certificate and can register in the American board of hypnotherapy under the (Hussain, which is me) and be recognized as a practitioner in hypnosis, for that point I will help the student and I am the one that will register them.